Discover Notre-Dame de la Garde Basilica, nicknamed "the Good Mother"
Would you like to explore Marseille on a weekend getaway or a longer visit? Enjoy the luxury of our Golden Tulip establishments. When travelling on business, book your room in a hotel with all the modern conveniences in the heart of Marseille, in the La Villette neighborhood. 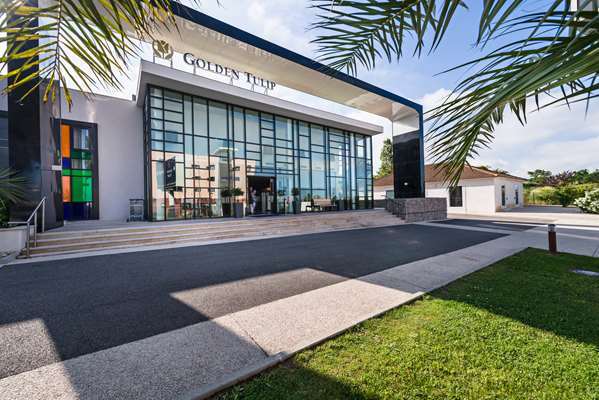 For a family vacation, take advantage of the Golden Tulip located just a short walk from the Parc Borély, the beaches and the Musée d’Art Contemporain. Our 4-star hotels in Marseille welcome you to a city of contrasts with a Mediterranean atmosphere. Delight in its diversity as you explore the famous MuCEM with its exceptional architecture and collections. Stroll the narrow, winding streets, typical of the South of France, in the Panier and Vieux-Port neighborhoods. When you book your room in one of our Marseille hotels, you'll enjoy quick and easy access to all the city's wonders. 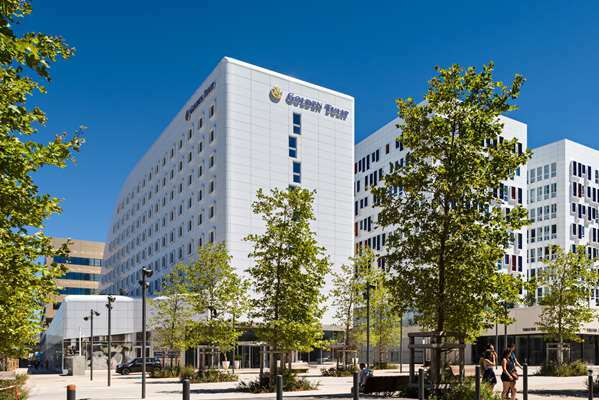 You'll appreciate our hotels' proximity to metro line 2 and many bus routes. When you visit Marseille, you can choose from all kinds of activities: going to museums, exploring the region's natural wonders, shopping along the Canebière, and more. To experience Marseille, start by visiting the Notre-Dame de la Garde Basilica, nicknamed “the Good Mother,” a true icon of the city. It is located on a promontory that gives you a sublime panoramic view of the Phocaean city. No trip to Marseille would be complete without visiting the Vieux-Port, conveniently located near your hotel. Enjoy it in the morning, when the fishing boats are returning. It's a unique, magical moment! The Vieux-Port is also a great place to sample local dishes in one of the many restaurants. Another unmissable Marseille activity is exploring the Calanques. On foot, you can stroll along cliffs overlooking the sea, listening to the song of the cicadas. By boat you'll enjoy a different view, discover small, isolated beaches, and breathe the sea air. Have you booked a room in one of our 4-star hotels in Marseille? Get ready for a true food-lover's getaway in Marseille. The city will delight you with a variety of flavors and many specialties. Try bouillabaisse, a fresh fish soup often served with garlic bread, one of the traditional dishes of Provence. Or you might prefer pieds paquets, a specialty made of sheep's tripe stewed in tomato sauce, white wine, and herbes de Provence. Make sure you also try anchoïade with an aperitif under the Mediterranean sun. Don't forget the aïoli and panisse! Golden Tulip restaurants have mouthwatering menus, featuring local, seasonal dishes. Our chefs are delighted to offer high-quality traditional cuisine with a modern twist. Fans of exceptional culinary products will enjoy poutargue, the local specialty made from mullet eggs, a rare treat.